Big storage coming this year? Asus could unveil devices later this year boasting support for microSDXC cards, which are capable of storing huge amounts of data. The microSDXC format was announced way back in 2009, but thanks to its sky-high price it hasn't been a viable option for mobile devices, until now that is. When speaking to TechRadar at MWC 2012 about the Padfone's storage capabilities, Asus' Regional Director for UK and Ireland Jonathan Santaub said: "Asus is testing the microSDXC format which now goes up to 133GB, but we're still assessing its capabilities (for use in Padfone) at the moment". 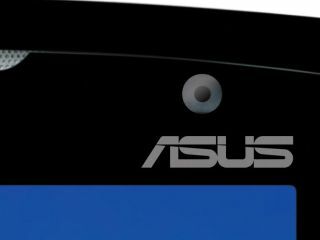 Santaub confirmed that the 3-in-1 Asus Padfone could offer the new microSDXC technology, but did not want to "over promise while testing was still ongoing". Support for microSDXC in devices could signal a huge step forward in storage capacities, as the technology can provide memory cards which offer up to a massive 2TB of storage. This could see manufactures ditch internal storage solutions in favour of microSDXC cards, which in turn may lead to thinner and lighter devices.